The official date may be June 21, but for me summer starts when the temperature passes 85 and the tops come off pools and cars. Nothing improves a ride in a convertible like some rockin’ tunes, so here are ten songs guaranteed to push you past the speed limit. Rocking Down the Highway, Doobie Brothers – With a line like “flying down the road with my foot on the floor,” how could this not be on my list? Tell Me All The Things You Do, Fleetwood Mac – From back when they were a blues band and Stevie Nicks was a college girl; two lines repeated over and over, and some smokin’ guitar. Sweet Emotion, Aerosmith – I’d wager that this one’s responsible for more tickets on Interstate 91 than anything before or since. Bohemian Rhapsody, Queen – Oh, the sinister way it sneaks up on you – “honest, Officer, I had no idea I was going that fast!” Plus, it transforms sophisticates into “Wayne’s World” extras. Gel, Collective Soul – One of many songs by this band that literally shouts “overdrive.” A CD’s worth of their tunes qualifies as leadfoot contraband in several southern states. Oh Atlanta, Little Feat – Speaking of the south, this standout track from perhaps the greatest live album ever made will give even the most jaded driver a bad case of boogie fever. Back in the USSR, Beatles – The Fab Four dip their toes in surf music’s waters. Boy, did they ever catch a wave! She Runs Hot, Little Village – This short-lived, John Hiatt-led supergroup takes the “car as girl” metaphor about as far as it can go. “Crankcase cookin’, that’s her manifold destiny,” indeed. Twisting By The Pool, Dire Straits – How come the lads from the coldest nether regions of England do such a dead-on job imagining hot sun living? Lust for life, I guess. 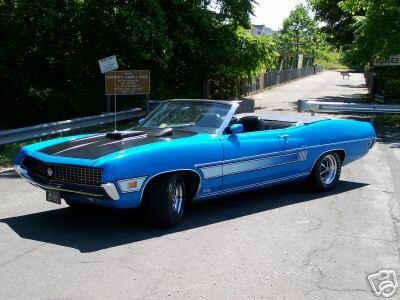 Good Vibrations, The Beach Boys – “The way the sunlight plays upon her hair … the wind that lifts her perfume through the air.” If you don’t already have a rag-top, this song makes you want to get one. Thursday: Strawberry Park Bluegrass Festival (Preston, CT) – A four day event signals the beginning of the festival season with some of the finest pickers in the land. Tonight, the Greencards blend bluegrass yin with newgrass yang. New Traditionlist Rhonda Vincent headlines Friday and Chris Thile, who broke every rule in the book with Nickel Creek, tops the bill Saturday. There’s also workshops and plenty of other bands. Friday: Bruce Cockburn, Palace Theatre – Cockburn kicks off this year’s “Concerts for the Cause,” which benefits Children and Family Services of New Hampshire, tonight in Manchester. Tomorrow, he’ll play the Lebanon Opera House. Next Friday, Rosanne Cash does her part at Concord’s Capitol Center. CFSNH walks the walk, and this annual event has helped make life better for countless kids. It’s also an excuse to hear some great music. Sunday: Chris Kleeman, Bistro Nouveau – The bluesy Kleeman was the first musician to perform at Bistro Claremont, so it’s no surprise that he’s helping out at the new location in Eastman. This Sunday, Windsor’s Harpoon Brewery co-sponsors an event that includes an opportunity for “Friends of Harpoon” to play unlimited golf on the Eastman links, along with plenty of giveaway goodies. Kleeman provides the soundtrack. Tuesday: Cripple Lilies, Weathervane Art Gallery – Downtown Brattleboro is in the news again. The weather’s hot, so the citizens are once again getting naked in the streets. I’ll be honest – the details on this show are a bit sketchy, but if it is happening, it’s worth making the effort. This band used to play punky art-rock, but their latest album sounds like Exene Cervenka and Woody Guthrie’s love child. Wednesday: Pine Leaf Boys, Iron Horse – This five piece band lives together in a Lafayette, Louisiana shotgun shack. They make music that bridges the gap between the new and old of Cajun and Creole. It’s a bit more electrified than the sounds heard in Mississippi River fish shacks, but it’s got every bit as much soul.